I am a former engineer, teacher, and nurse and have bred chickens for 15 years. I conceived of Art is an Egg in 2013, when I became fascinated with the relatively unknown beauty of chicken eggs from rare breeds. After two years of designing my flock and building a facility to house 200 birds, I opened the doors of Art is an Egg in November 2015 to share this beauty. My farm is located in the heart of Virginia wine and beer country, in scenic Nelson County on Route 151. My operation is transparent and the public is welcome to come by for visits. I love showing folks what I'm doing. Nelson 151 is a beautiful weekend getaway and just 2.5 hours from DC. You can see where we are here. 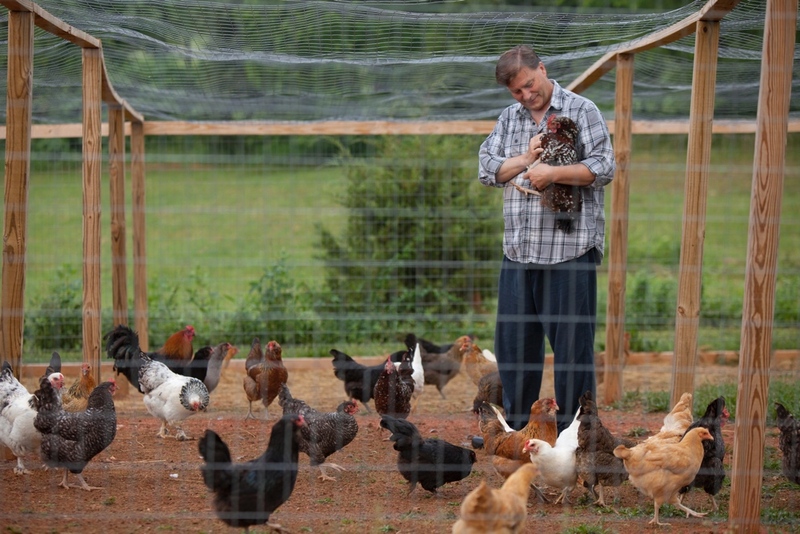 Art is an Egg farm was built with the help of friends, family, and neighbors. I would like to express heartfelt thanks to the following people for helping me with back-breaking work, and for countless hours of listening to an egg fanatic ramble on: Lily, Alberto, Travis, Shug, Billy, Cheyenne, Trackmeat, Veggie, Jeanne, John, Honey, Kyung, and Sara.